Habitat - Marshes, ditches, swamps, sinkhole ponds, railroads. Other information - This fairly distinctive species can be found throughout most of Alabama. 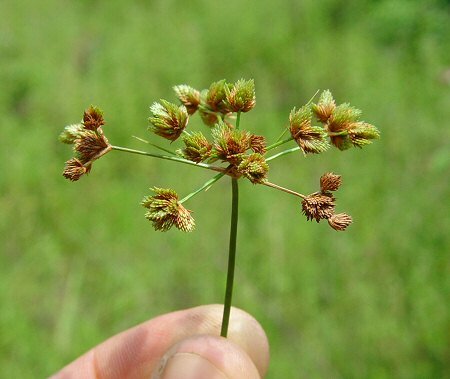 The plant can be identified by its spreading inflorescence of compressed spikelets. 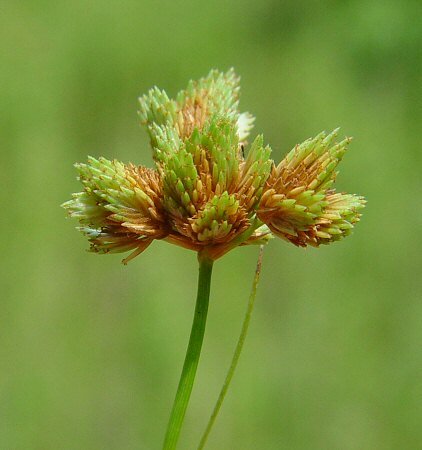 The scales of the spikelets overlap and hide the linear and slightly curved (falcate) fruits. The scales and fruits of the spikelets are shed individually from the base, ultimately leaving a naked axis. 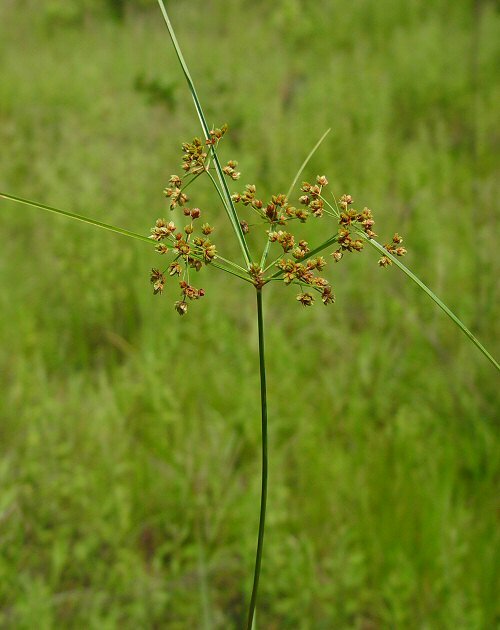 The stems of the plant are glabrous and sharply 3-angled. 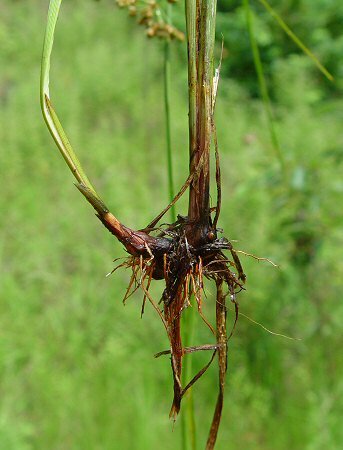 The genus name Cyperus is from the Greek "cyper(us)" meaning "a rush or sedge." The species epithet pseudovegetus derives from the Greek "pseud(o)" meaning "false" and the Latin "veget" meaning "lively, spirited, fast growing, vigorous" referring to ? Photographs taken at Fort Benning, GA., 7-25-05.